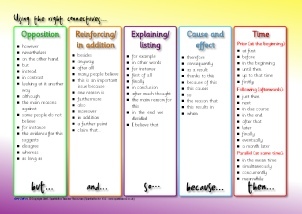 A colour banner for your classroom connectives display. 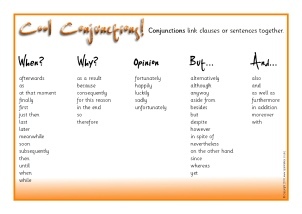 A colour banner for your classroom conjunctions display. A set of 12 connectives presented on authentic-looking bricks. 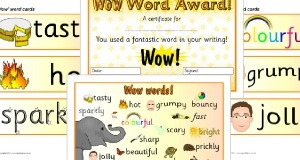 Ideal for creating a word wall display in your classroom. 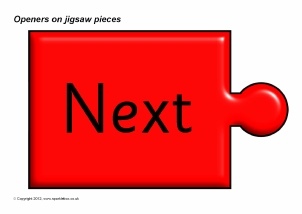 A set of A4-sized colour ‘jigsaw pieces’ with common connective words. 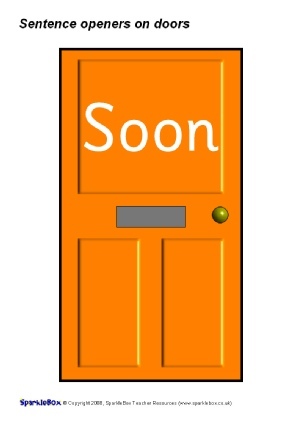 Ideal for hanging up in your classroom as a visual writing aid. 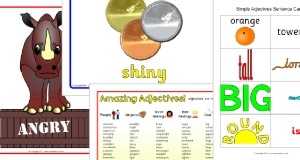 A printable word mat featuring a selection of useful sentence connectives. Various time connectives presented on clocks. 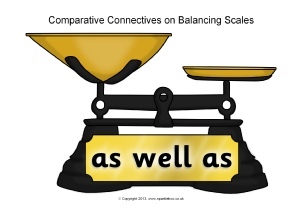 Various comparative connectives presented on balancing scales. 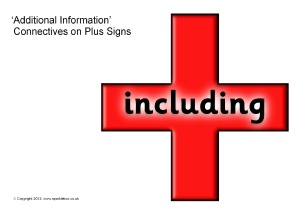 Various exemplification and explanation connectives presented on plus signs. 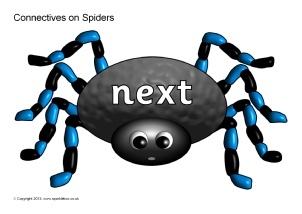 40 different connective words presented on fun spiders. 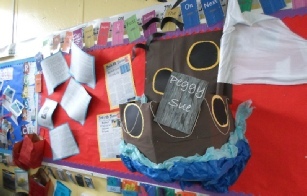 Great for a connectives web display. 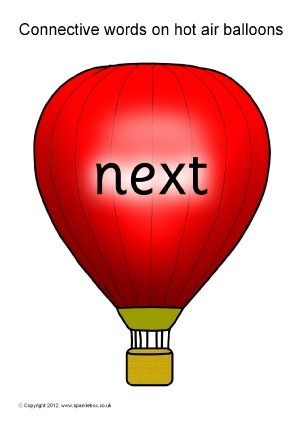 Connectives presented on different coloured hot air balloons. 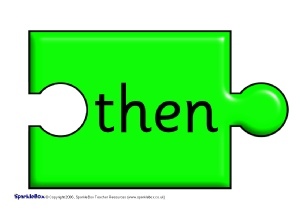 A simple word mat listing lots of useful connectives related to when, why, opinion, and words for ‘but’ and words for ‘and’. 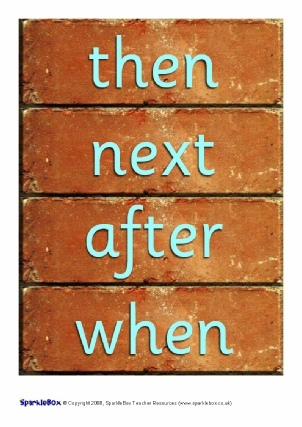 A useful printable word mat featuring different time connectives for ‘but’, ‘and’, ‘so’, ‘because’ and ‘then’. 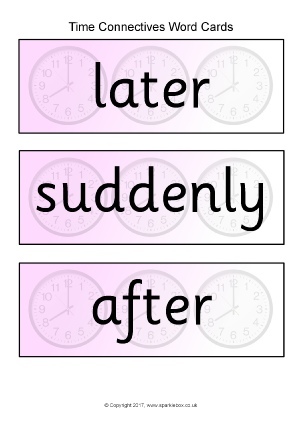 Colour banners for your classroom sentence openers display. A printable word mat featuring a selection of useful sentence openers. 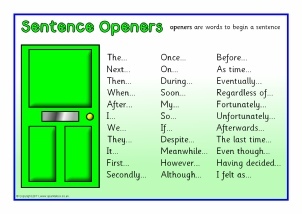 Sentence openers presented on coloured doors. 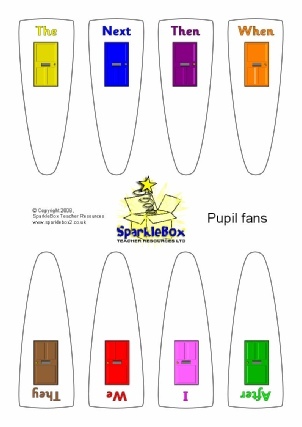 Print and assemble into sentence opener fans for your pupils. 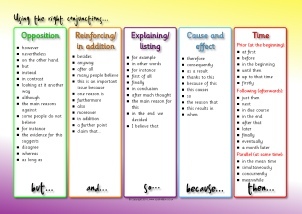 Great for reference when writing or class/group activities. 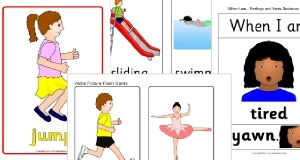 A set of A4-sized colour ‘jigsaw pieces’ with sentence openers. Ideal for hanging up in your classroom as a visual writing aid. 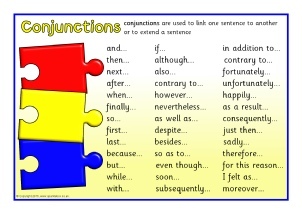 A printable word mat featuring a selection of useful sentence conjunctions. 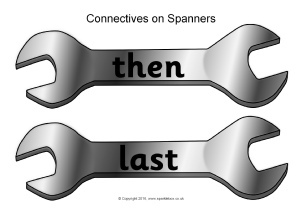 A set of printable spanners featuring a selection of connectives/conjunctions. 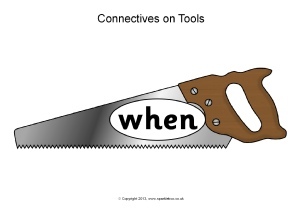 A selection of common connective words presented on various workshop tools. 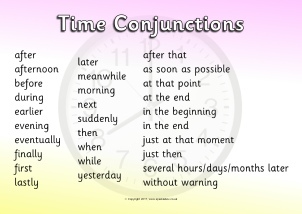 Printable desktop word mats featuring various useful connectives/conjunctions related to time. Great for use as aids for recount writing. 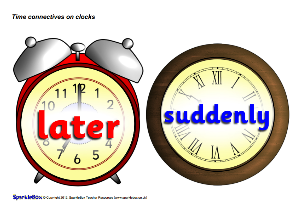 Printable word cards featuring various useful connectives/conjunctions related to time. Great for use as aids for recount writing.